Leave a Legacy: You can leave a lasting gift to the children of our school district through a contribution of cash, stocks, bonds or personal property. 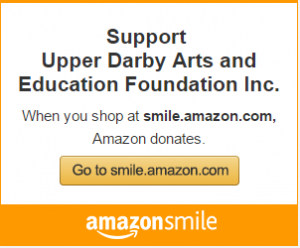 Please remember the Upper Darby Arts & Education Foundation, Inc. when planning your estate. It costs you nothing today to make a bequest. A bequest is free of federal estate tax. Your bequest can be changed down the road. A bequest may produce estate tax savings. To learn more about bequest giving, please contact us at 610-394-1580. Alumni Recognition Tree: With a gift of $500 or more you can engrave a brass nameplate on the beautiful Alumni Recognition Tree in the lobby of Upper Darby Performing Arts Center. You may choose your name or the name of a loved one or special teacher. Scholarships: The Foundation manages several scholarship funds. In addition, many alumni have made gifts to the Upper Darby High School Scholarship Fund.